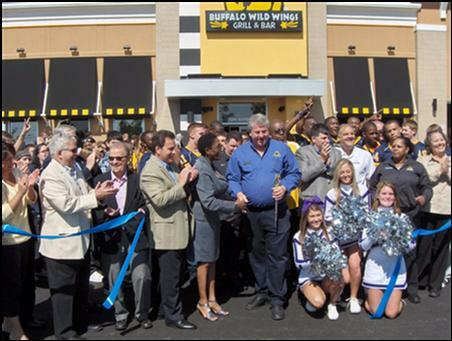 What a great turnout Monday, June 13th at the Niagara USA Chamber Ribbon Cutting for Buffalo Wild Wings Grill & Bar. Thanks to all who attended and Congratulations to Buffalo Wild Wings! They have a terrific staff. Everyone should stop in and try them out!